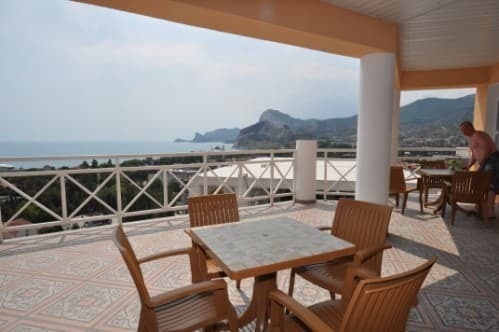 Guest house "Shelen" is located in the resort town of Sudak, a 10-minute walk from the city center, the distance to the sea is 600 meters. 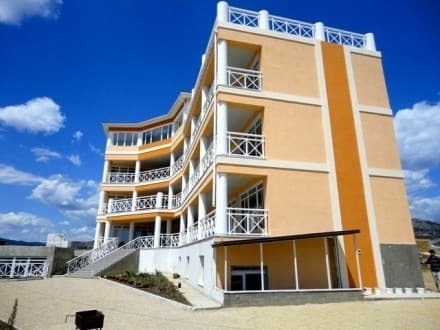 Holidaymakers are offered accommodation in modern rooms equipped with new furniture and fixtures, made in a pleasant color scheme, with all amenities and a beautiful view of the sea. 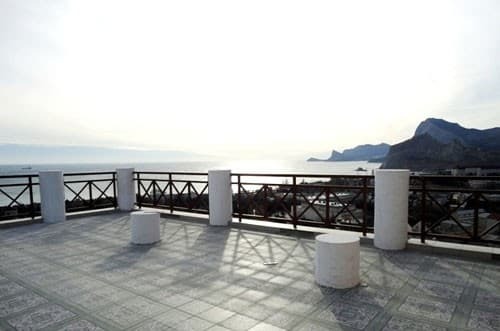 The pride of the guest house "Shelen" - a spacious terrace of 100 sq. M, from which a unique view of the endless sea, mountains and the embankment of Sudak. Free Wi-Fi is available throughout the property. In the courtyard there is a free car park. 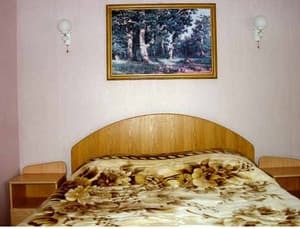 Also in the guest house there is a dining room where the guests will be offered oriental, Crimean Tatar cuisine. PRICES MAY CHANGE, IT IS REQUIRED TO RECEIVE INFORMATION FROM THE OPERATOR. Description of the room: Cozy 1-room suite, the interior of which fully corresponds to the European style. Room size is 24 square meters. The room has a double bed, wardrobe, table, chairs. 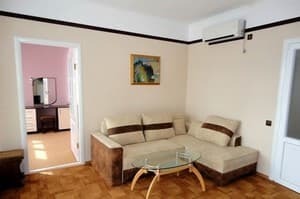 Description of the room: Cozy 1-room east-style room with an area of ​​31 sq. M. The room has a double bed, bedside tables, wardrobe, table, chairs, tapchan. Description of the room: Two-room suite with adjoining rooms of 48 square meters. The room has a double bed, a sofa bed, bedside tables, a wardrobe, a table, chairs. 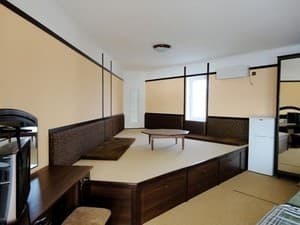 Description of the room: Spacious 2-room suite with interconnecting rooms of oriental style with kitchen, total area of ​​57 sq. M. The room has a double bed, sofa bed, tapchan, bedside tables, coffee table, chairs, wardrobe. 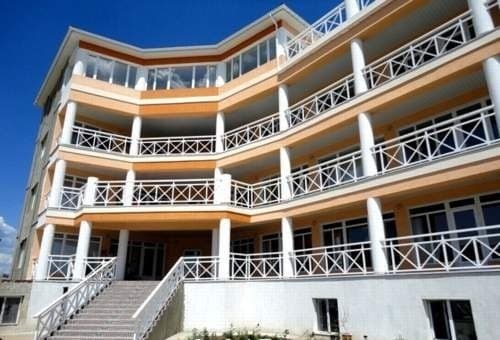 Guest house "Shelen" is located in the resort town of Sudak in the South-Eastern Crimea, 10 minutes walk from the city center, the distance to the sea is 600 meters, to the nearest grocery store - 250 meters.